2001: Hewlett Packard patents a method for dynamically updating software to circumvent missing hardware functionality. 2008: Jeff Arnold announces Ksplice, software for updating (patching) a Linux kernel without interruption (i.e. without rebooting1). 2010: Microsoft’s patent finally gets granted on appeal. Jeff Arnold was an MIT student looking after one of their servers2. It needed a security patch, but he delayed it because a reboot would inconvenience his users. Before the system could be updated, it was hacked. The disgrace and (ironically) inconvenience suffered inspired Jeff to find the topic for his Master’s thesis in the problem of performing a system update without delay and without rebooting it. The story may be apocryphal, but it reminds us that live patch techniques sprang from a concern not for convenience but for security, and it is in that role in which they should be appreciated. Jeff Arnold teamed up with three student colleagues to study the problem of how to update a Linux server’s kernel, without delay and without interrupting the system’s processes. The solution came in the form of software called Ksplice, the technical foundations of which were laid out in a 2009 academic paper. The paper’s title included the word rebootless, now familiar Linux shorthand for ‘uninterrupted updating’, but first coined by Microsoft in 2005 to apply to Windows driver updates. After graduating, Jeff and his MIT colleagues started Ksplice Inc., and in May 2009 they won the MIT $100K Entrepreneurship Competition prize. The company launched a commercial service in 2010; things were going well. On 21st July 2011, Oracle acquired Ksplice, Inc., integrating the software into their own brand of Linux, itself a derivative of Red Hat3. Despite that heritage, Oracle stopped supporting Red Hat. The acquisition of Ksplice by Oracle kicked off a surge of activity among other key Linux vendors left in the lurch. 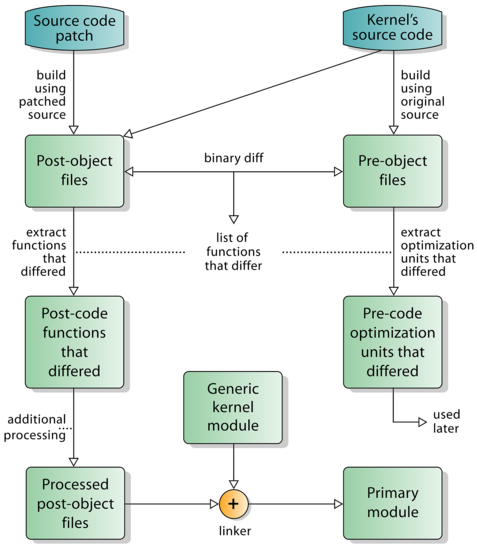 Red Hat shared their Kpatch code with the community and integrated it as a supported feature of Red Hat Enterprise Linux. and data loss may occur! 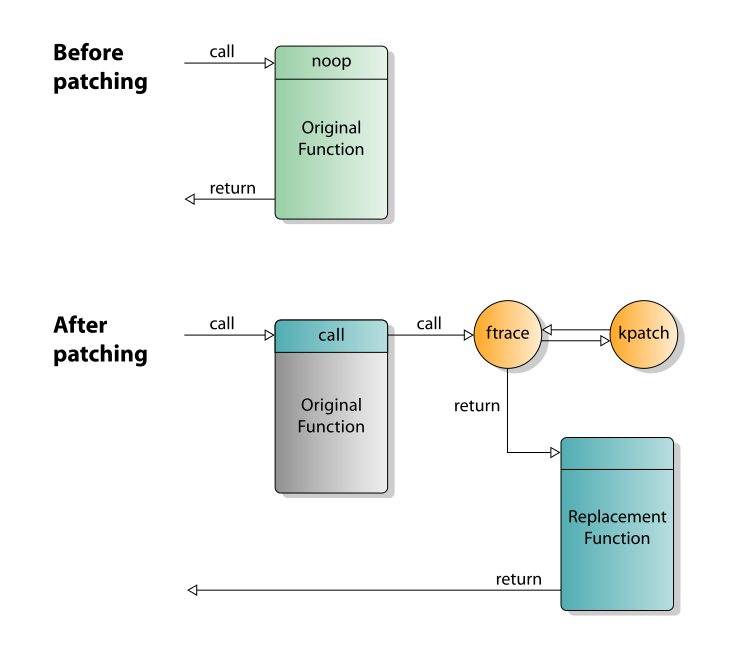 Throughout the same period, and in parallel with the SUSE and Red Hat efforts, basic ABI foundations for supporting live patching were being integrated into the Linux kernel version 4.0 source code. The idea was to take the best ideas from both Kpatch and Kgraft and...patch and graft them into a common approach for the mainline. This was called livepatch, and in October 2016, Canonical announced they were introducing their own commercial kernel updating service based upon it, predictably called the Canonical Livepatch Service. First only available for Ubuntu 16.04 LTS, it was later extended to cover 14.04 LTS as well. In Ubuntu 18.04 LTS Livepatch is an install option and can be configured from the built-in software management tool, a sign of its growing importance in the standard software distribution. As the major vendors scrabbled to be the first to launch viable live patching solutions, CloudLinux, a major player in Linux-based web hosting operating systems, launched KernelCare in May of 2014, after a successful beta in March. They surprised the market by offering the widest feature set across the most number of Linux platforms, backing it up with a strong reputation in Linux kernel development and customer support. Another shock was the affordability, appealing to website hosters who find KernelCare’s per-server costs more manageable and scalable than their main competitor’s per-site costs. More recently, the bundling of KernelCare with Imunify360 has made it show up on the radar of a new squadron of high-flying, security-minded system admins. 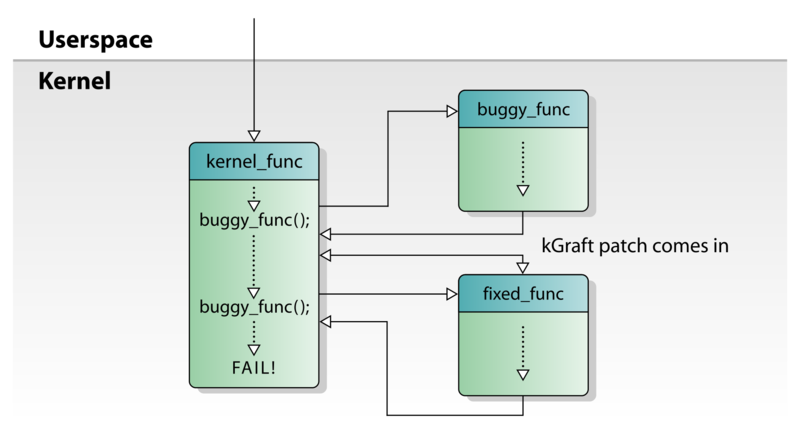 As the world moves towards automated security, you’ll see automatic live kernel patch management software being integrated into popular Linux distributions ever more tightly. There are currently only five distinct vendors on the market. A feature comparison table lists their major selling points. In the further reading section, you’ll find documentation sources and background articles. Tinkering with an active kernel can be messy. It’s not something an enterprise, or anyone running servers, wants to trust to untested and unsupported software. When done in the name of security, it’s one of a number of applications in Linux worth paying for, one of the few that absolutely must be done right. 1 Because of Microsoft’s 2002 patent application, discussions at the time reveal concern over the long-term viability of the technology. See lkml.org April 2008 and lwn.net July 2011. 2 MIT News: “Bringing the world reboot-less updates” (2014). 3 Since January 2016, Ksplice has been available only as part of Oracle’s UEK and Oracle Linux 6 & 7 products. In November of that year, they removed Red Hat’s upstream Kpatch code. See Comparison Notes for details. Paul is CloudLinux's Technical Evangelist and Content Writer. He uses his 25+ years of kaleidoscopic experiences in IT to dissect, unravel and explain the complexities of Linux web hosting and security. What are the meaning of the 2 different kinds of dots in your comparison notes?